I’ve been asked countless times for whisky-related travel tips in Paris and always came up with a few addresses I had vaguely heard about. After receiving other messages of this kind last week, I finally decided to really look into it and write a proper article on this matter. I don’t live in Paris, I never lived in Paris and I surely don’t wanna live in Paris – ever -, however, I really enjoy myself walking around the French capital city when I happen to pass by for a couple of days to visit friends and/or family. The buzzing food & drink scene down there is definitely undergoing some sort of revival, with new hipsterish hotspots spreading the city (particularly in some specific areas though) without however upstaging the historical and well established names. Paris is all about balance, a perfect mix between trend and tradition, like its people. A trendy classy 50s-style rockabilly spot, nestled in the popular Bastille area. May be the perfect place to indulge in a hipsters-watching session. Tattoos, bearded waiters, rock’n’roll, speakeasy atmosphere, fancy homemade cocktails and fine wines are all part of the true Joséphine experience. Steaking has been created to combine steak and whisky in a unique location, in order to enhance the gastronomic experience for exclusive diners. This unique restaurant is born from the idea of three young, dynamic and ambitious entrepreneurs who have studied and worked in entrepreneurship, hospitality, culinary, finance and entertainment industries, willing to create the place to be in Paris. Calling all meat aficionados here, this place is often referred to as one of the best “steak experiences” in the French capital city ! And as this kind of concept restaurants never comes without a signature beverage, this classy American-style steakhouse obviously chose to sing the praises of whisky (on the menu, nectars from Sweden, Australia, India and many more) ! Fancy pairing your dram with a cigar ? Steaking is the perfect spot to do so. “Every once in a few years, you come along one of those places where everything is just right about the place. This is one of those places. The ambiance is as perfect as can be: as laid back as your own living room, as cool as a high end speak-easy, and as friendly as your local dive bar. The drinks are wonderful and all the bartenders can give you some amazing recommendations.” Pouya Y. Not to mention the amazing ingredients coming from all over the world and of course the whisky list, which features amazing Japanese whiskies as well as Bourbons, Scotch and Irish whiskeys. Your Scottish destination in the Marais. The Auld Alliance (referring to the old alliance between the Scots and French against the English) is welcoming and quite true to the Scottish spirit. On the menu : pub food (fries, burgers, crips and the like) as well as your usual pub beverages. Screens broadcast any kind of game you can think of, it can get quite packed on game nights, but the atmosphere is always friendly ! 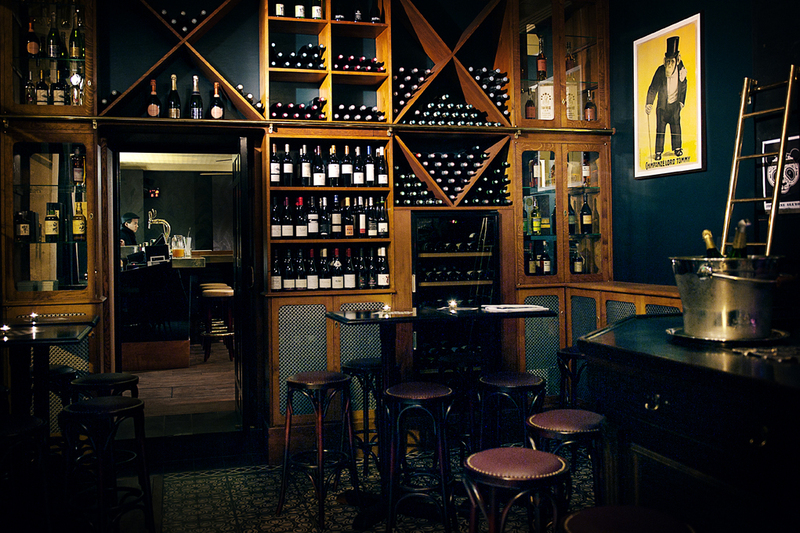 Its location near St Paul makes it a perfect meeting spot to start off an evening in the Marais. Whether you are a connoisseur or a beginner, this typical Scottish pub is said to boast the largest selection of Pure Malt whiskies in Paris with over 100 available ! Bartenders are trained to help you choose the perfect whisky to suit your palate and mood.